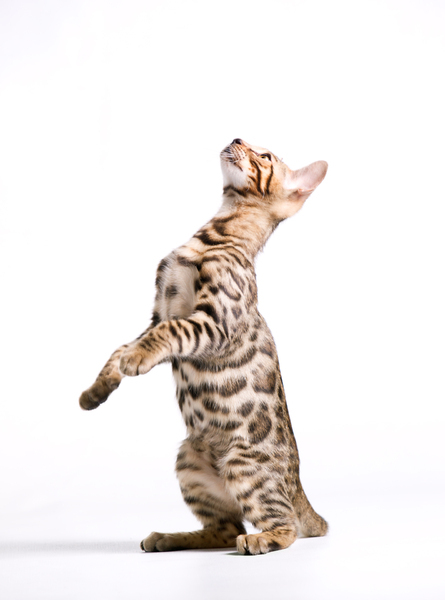 Bengal Cat Kitten looking up, nice spotted Fur. White Background. Your series on bengals is brilliant!